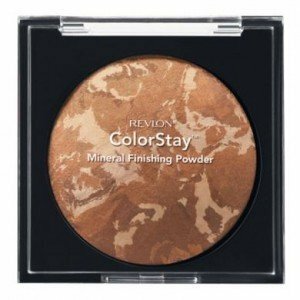 Revlon Colorstay Mineral Finishing Powder, Suntan Matte 020, 0.31 Ounces , 1 Pack.... 3-shade marbleized palettes with natural color to highlight & illuminate, soft pearls play with light. Baked mineral form for sheer, natural color that diffuses imperfections & minimizes pores. Contains gentle talc-free mineral complex that cares for your skin. ColorStay longwear for up to 16 hours of wear. Medium bronze, terra cotta and gold tones with soft matte bronzed finish .